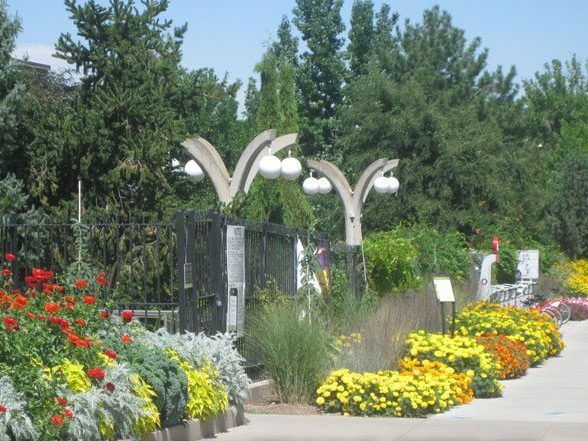 7th Avenue Parkway was developed at a time in Denver’s history (early 1900s) when the blending of landscape and architecture was of great importance. To get it right, the original planner consulted with the creator of New York’s Central Park to design this beautiful section of town. The stretch of Parkway from Logan to Colorado makes up the state’s largest (and narrowest) Historic District. It is also listed on the National Register of Historic Places. These designations are significant because the homes are provided protection, including design review, on all exterior alterations and demolitions by Denver’s Landmark Preservation Commission. The tree-lined Parkway runs alongside numerous parks and is home to some of the fanciest and most celebrated mansions in town. Mamie Doud Eisenhower grew up at 750 Lafayette Street and in later years this home was known as “The Summer White House” for the time President Eisenhower spent working here during his terms in office. A bit farther west, the Governor’s stately Georgian mansion marks the western-most point of the neighborhood. Many of the original homes were built with old money made in the mining and railroad industries. The most elaborate face 7th Avenue while the side streets are lined with charming bungalows and Denver Squares. Today, there is still a sense of pride associated with living in the 7th Avenue Historic neighborhood. Walkers, runners and bikers enjoy the pathway that runs along the Parkway. Naturalists love the four seasons at the Botanic Gardens (and the Summer Concert Series!) Neighborhood soccer and lacrosse teams practice in its various parks. And residents savor its peacefulness and historic beauty. A handful of Denver’s finest restaurants are located on the western end of 7th Avenue and Rose Hospital with its hub of conveniences can be found on the eastern end. Learn more about 7th Avenue Historic District at www.sanadenver.org.